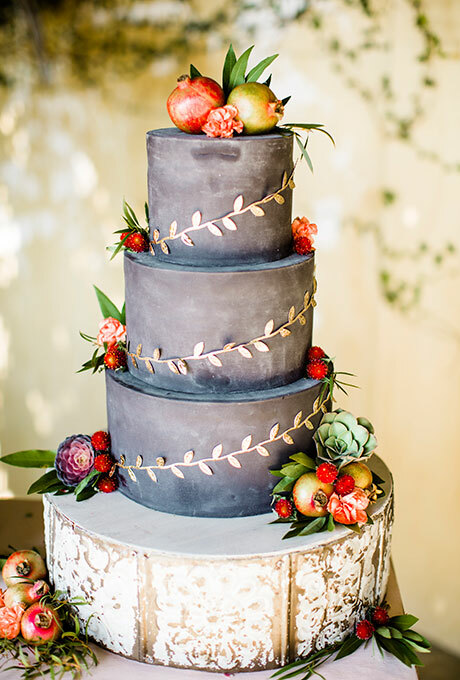 Sometimes when looking for wedding cakes to showcase I run across a cake that makes me go “hmmm” and “wow!” at the same time. Today’s cake is that cake. 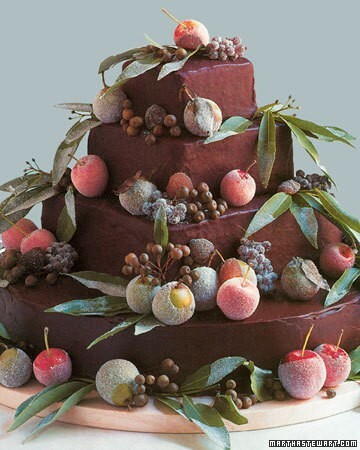 Fall and winter are the perfect time of year to think about a non-traditional wedding cake. I’m talking about a cake that isn’t topped with white icing – a dark wedding cake. Today’s cake would be the perfect late-fall or winter cake with its dark icing and fall fruit embellishments. 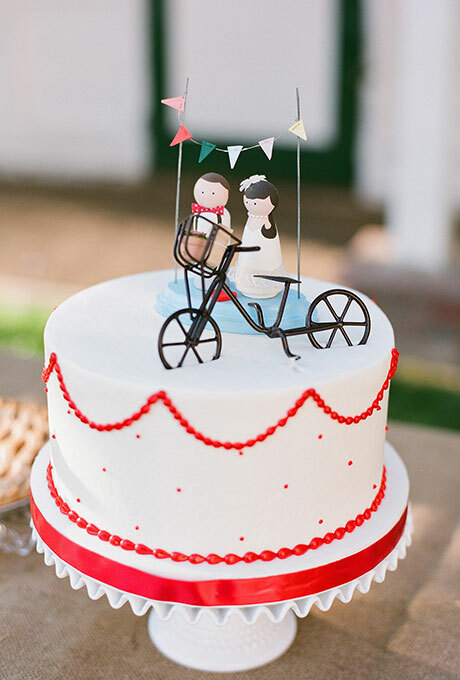 It’s been a while since we featured a groom’s cake, so I thought today was a good day to talk about them. And I found a doozy of a groom’s cake in my search for something unique and a little different. 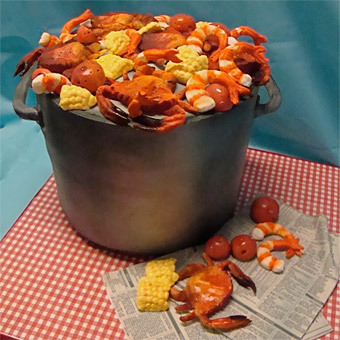 I’m talking about this clambake-inspired cake. It is truly one of a kind. And it’s also perfect for your destination or beach-theme wedding. Let’s take a moment to really look at this cake. All of the items – the shrimp, crabs, vegetables – they’re all made from sugar paste and white chocolate. Which means they’re edible(and apparently the newspaper is also edible). 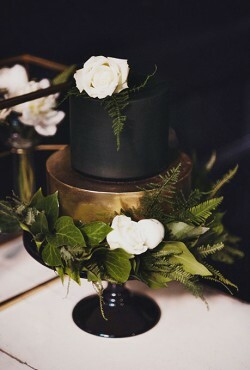 I’m guessing the “bucket” is all cake too, and yes, that’s silver-y frosting! 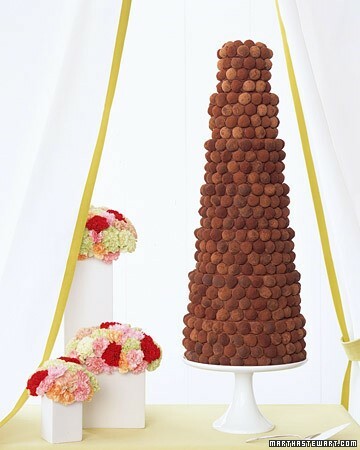 If you want a showstopper kind of cake – and one that your guests will remember for a very long time – this clambake groom’s cake is perfect. 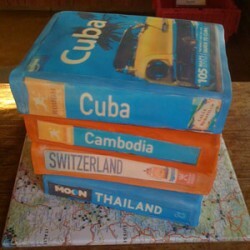 The cake was designed by Debbie Does Cakes. 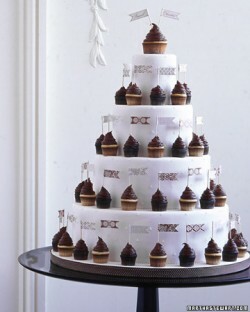 Sure, cupcakes were all the rage for weddings in 2013 and that trend is likely to continue this year. 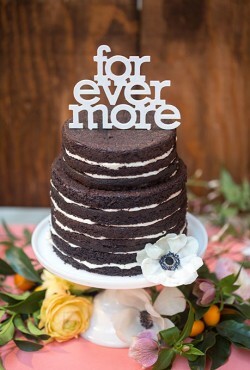 But if you’re looking for something that goes beyond “just cupcakes” why not consider serving a wedding cake and cupcakes! That’s right – it’s the best of both worlds. I love a cute wedding cake topper as much as the next girl and when one catches my eye, you can bet I'm going to share it with all of you! 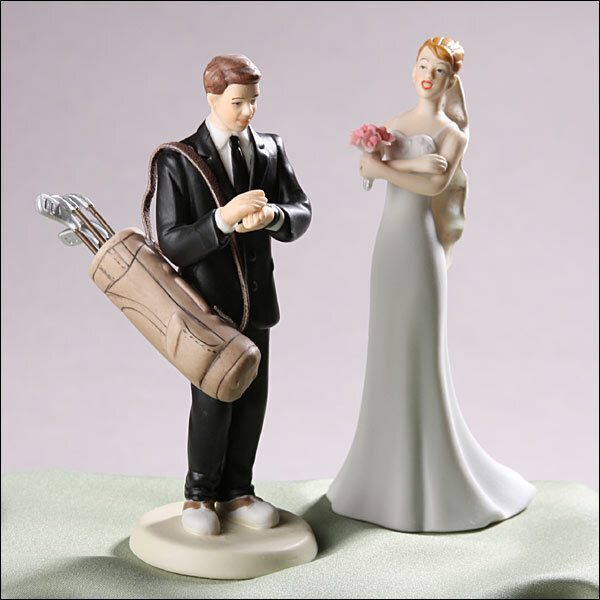 If your groom-to-be is a golf fanatic and you want to surprise him with a nod to his hobby, this is the perfect cake topper for your wedding cake.